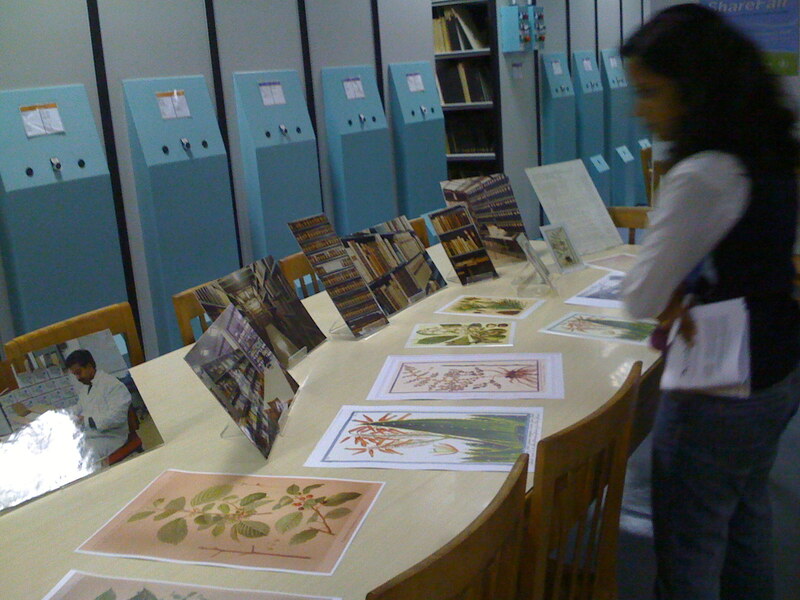 The David Lubin Library is a very important resource of FAO. The bluebar, the list of communicators of the Rome based UN agencies, asked for the possibility to visit the resource and Jessica Mathewson, very kindly, brought us around the facility. There is always some doubts about dealing with libraries in a digital era. The point is “Are they still useful or do they loose their role?“. On the other side, being a fanatic of reading and books, you could expect me approaching the visit in a different way as libraries, by definition, should have a role. Maybe the point is that the role has to change. I have to say that my original idea that libraries are very close to their end changed dramatically when I saw the caveau of the FAO Lubin. It is full of books and papers and documents. They have such an extraordinary collection put together. I can think about something like the modern “Concept stores”. Not being anymore the privileged “channel” to access knowledge, as they were in the past, libraries can now become places where people can admire the books in their materiality. Places where to get in touch with them, have the pleasure to see ancient bricks of knowledge, without necessarily using or reading them. Even if the way to access knowledge is changed, the books maintain all their fascination as very special objects. So why loose it? Categories: events | Tags: bluebar, books, David Lubin, FAO, library | Permalink. Mongolia is a very interesting country. Both on the geographical and the social point of view. Human relationships are so important there that everything relays on mutual support. Why? Here is my explanation. The country is huge, more than 1.5 million square km (five times Italy and almost half of West Europe) while the population is pretty small being only 2.6 million people (less than the population of Rome, Italy): as a result, the density is one of the lowest all over the world with only 1,7 inhabitant for square km. But, most of the people are living in the capital city, Ulaan Bataar, so as an extreme consequence the rest of the country is even less populated that what the statistics say. 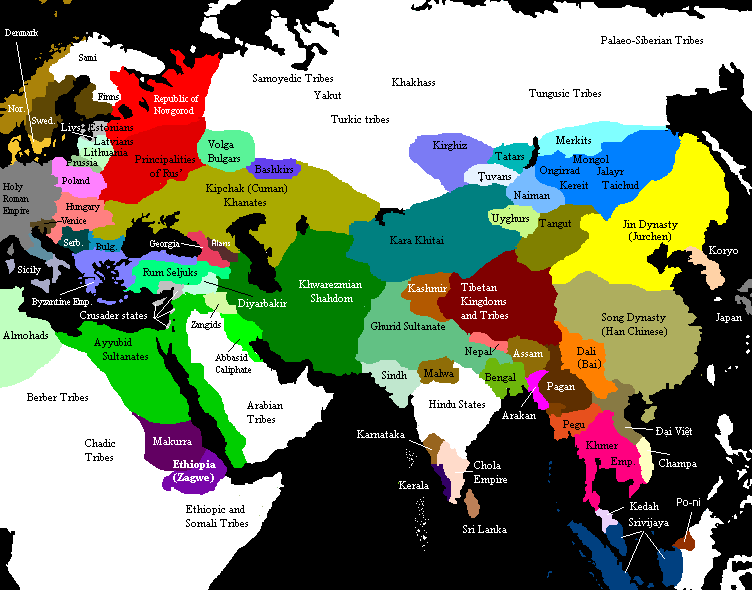 Another very interesting aspect of the Mongolian population is that they are nomads earlier than Chingis Khan time (XIII century). So most of the people live “alone”: the all family in a Ger, the Mongolian traditional white tent, taking care of the cattle, and far from the neighbors who can be based from twenty meters to 50 km. As I saw while traveling around the country, people of every kind meet occasionally and talk and share information and parts of their cars or food, drinks, place to sleep and everything else without an existing relationships as a support. Full trust and total respect are the basis of these everyday relationships. Under this point of view, I recognized many points in common with the Internet and the interchange that users experiment daily. And it gave me an explanation of how something free of charge and why so much mutual assistance can be possible on the Internet: maybe, just because it already happens in the real life! If you want to read more about Mongolia and life and travel around the country, I suggest these two books: In the Empire of Genghis Khan by Stanley Stewart and Gantsara: Alone Across Mongolia by Ian D. Robinson. Categories: social media | Tags: action, Asia, books, capacity building, Chingis Khan, communication, development, Internet, knowledge sharing, lessons learned, Mongolia, network, people, relationships, respect, trust | Permalink. Today: writing, writing, writing. But also: organizing, organizing, organizing. Giving a structure to the book and adding words to content is the task of today. Having defined together a rough framework about topics, chapters, paragraphs, we divided into groups to focus on single tasks. At the moment we are 6 people and we are expecting others to come and join us today and in the next days. While organizing content, the controversial relation between communication, on one side, and knowledge management, on the other, is coming out more and more. This relation so many times becomes an opposition, a sort of conflict which, unfortunately, brings to nothing. My personal view is that KM should be considered as a mean while communication is the aim. In this way KM is useful for communicators to do their job properly. This is true for commercial companies and for non-profit organizations as well. The two disciplines are distinguished but one is functional to the other. So we come to the point that is usually strongly debated: who has to say the last word? Who has to decide? What comes first? I strongly encourage to give leadership to communication. In my vision, the person who is in charge of communication has the need to orient also the management of knowledge. This is due to a consideration about natural disposition of the two: the choice between people and tools. Communication is related with people more than KM, while this can be more focused on tools and techniques. Also communication can have this temptation but, if it wants to be successful, it cannot forget the persons who are listening to, at all. So, human beings are the factor that we cannot change and forget in any case. Communication is part of the fabric of societies. By receiving, giving and discussing information and ideas we are able to make decisions and form opinions. That’s why I assign the leadership to communication. So: people and not tools, relationships and not techniques, trust and not methods have to be the leading factors. Categories: reports, social media | Tags: books, capacity building, communication, development, knowledge management, lessons learned, people, support, tools, writeshop, writing | Permalink. I started today a 4 days writeshop about communication for development and knowledge management, organized by FAO and gtz. The aim is to describe the relationship between the two topics. The writeshop is the final event of a long process that the two organizations started to analyze this relationship and it’s the attempt to collect and give a shape to the knowledge gathered during the previous meetings of experts, the last one of which was in Assisi, earlier this year. Today we collected all the pieces at disposal and worked on the definition of the structure of the book. Paul (you see him in the picture), who’s facilitating the event, gave this clear and interesting definition of the process we are involved: we have CONTENT, then STRUCTURE and WORDS. Today we elaborate the structure to give to our content. Then, we’ll look for the right words. That’s according the definition that “when data acquire a structure, they become information”. 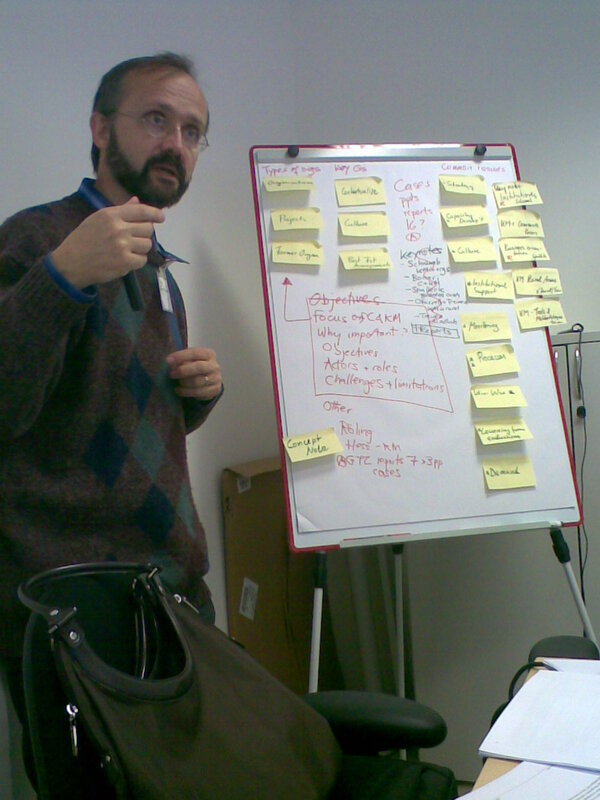 I’ll keep on blogging the following days to describe next phases of the writeshop. Categories: reports, social media | Tags: blogging, books, capacity building, communication, development, knowledge management, knowledge sharing, lessons learned, people, support, tools, writeshop, writing | Permalink. Bill is “behind” but is far ahaed! Summer time is such a good moment to spend time reading. I just read John Battelle’s book, “The search” and I found out that there is a man who invented so many interesting things that I couldn’t believe. I’m talking about Bill Gross. He is a great guy, he is a mind. Most of the innovations shown up by Google in their business model were invented by Bill in his exceptional experience of Overture, the company he founded and sold to Yahoo. Now Bill is still around the Internet with his former company, IdeaLab, an incubator that produced things like Picasa and snap. I think it is very important to recognize these kind of people to distinguish who DOES things from who talks. Categories: reports | Tags: action, Bill Gross, books, capacity building, Internet, John Battelle, knowledge sharing, lessons learned, Overture, people, search, Yahoo! | Permalink.